Please welcome Dr Khalid Aziz who recently joined our team. Dr Aziz will be working with the Practice on Monday morning, Tuesday morning & afternoon and Wednesday morning. Please find the full link in the latest news section of the website. Evening and weekend appointments available from 1 July in North Solihull. 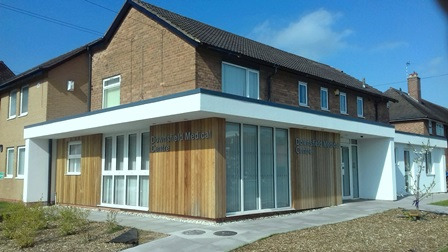 Bosworth Medical Centre is situated inside Chelmsley Wood Primary Care Centre, is within easy reach of the Practice, has ample parking and is on the 97 bus route. We are a long established practice which offers a high standard of modern medical care. We offer health promotion and disease prevention clinics run by the practice multi-disciplinary team. Our practice is an accredited training practice which means Foundation Year 2 (FY2) doctors and general practice specialist registrars work in the surgery. Foundation Doctors work in our practice for six months at a time. They are recently qualified doctors who will consult, then discuss your case with one of the more experienced doctors. General Practice Specialist Registrars come to the practice as part of their training to work for up to twelve months towards the end of their specialist general practice training to gain further experience in general practice and take the GP membership examination. Our aims are to offer the highest standard of health care and advice to our patients, with the resources available to us.We have a team approach to patient care and endeavour to monitor the service provided to patients, to ensure that it meets current standards of excellence. We are dedicated to ensuring that practice staff and doctors are trained to the highest level and to provide a stimulating and rewarding environment in which to work. We are part of the Birmingham Cross City Clinical Commissioning Group (BCC CCG) and work closely with all other practices within our area. For regular updates and upcoming exciting news please visit our facebook page. For more information please see our latest news page.